Want the best plastic surgery information? Thinking of plastic surgery, but overwhelmed by the glut of information available online? Not sure which websites are trustworthy or how to evaluate what you read. Below are some of the best resources informed by board-certified plastic surgeons. If you love plastic surgery videos, you’ve probably seen Dr. Restifo on the Plastic Surgery Channel. You can access his most recent videos here. PSC is a useful educational resource that offers multiple perspectives on many procedures. Contributors are all board-certified plastic surgeons. But be forewarned: they don’t always agree about the best approach for all procedures. That’s because treatment is always patient-specific and different doctors have different approaches. That’s why it’s important to find a surgeon who you feel comfortable with and confident in. Since PSC videos tend to be shorter and broader in scope, we strongly recommend ASPS and ASAPS for deeper dives into procedure-specific patient information. You’ll do a little more reading, but it will be well worth the effort! ASPS offers a wealth of reliable plastic surgery information about procedures, surgeons, and how to get the best long-term results. The Society is a strong advocate for patient safety and requires its members to operate in accredited surgical facilities that have passed rigorous external review of equipment and staffing. 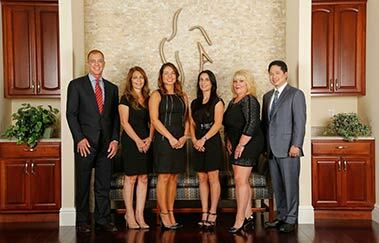 Dr. Restifo is an ASPS Member, trained in cosmetic and reconstructive procedures for the breast and body. Learn why plastic surgery board-certification makes a difference to patient safety and satisfaction here. SmartBeautyGuide.com is a patient education website for the American Society for Aesthetic Plastic Surgery. The Aesthetic Society is also made up of only board-certified plastic surgeons. The Aesthetic Society is recognized as the world’s leading professional organization of board-certified plastic surgeons who are solely dedicated to the art, science, and safe practice of aesthetic surgery and cosmetic medicine of the face and body. Dr. Restifo is a proud member of The Aesthetic Society too; he frequently presents his specialized surgical techniques to other board-certified plastic surgeons at the annual ASAPS conference. As with any health-related decision, do your due diligence. Think about it: most people research the purchase of a new car for weeks or months and they only drive it for three to seven years. Compare that to the duration of your plastic surgery results: your decision will impact you for many years to come. Whatever you do, educate yourself to Avoid Unqualified Practitioners. Our Best Advice? Be Informed! Research the procedure(s) you want on reputable sites like those above. Confirm your surgeon’s education and experience. Schedule your consultation(s) and ask as many questions as you need to!